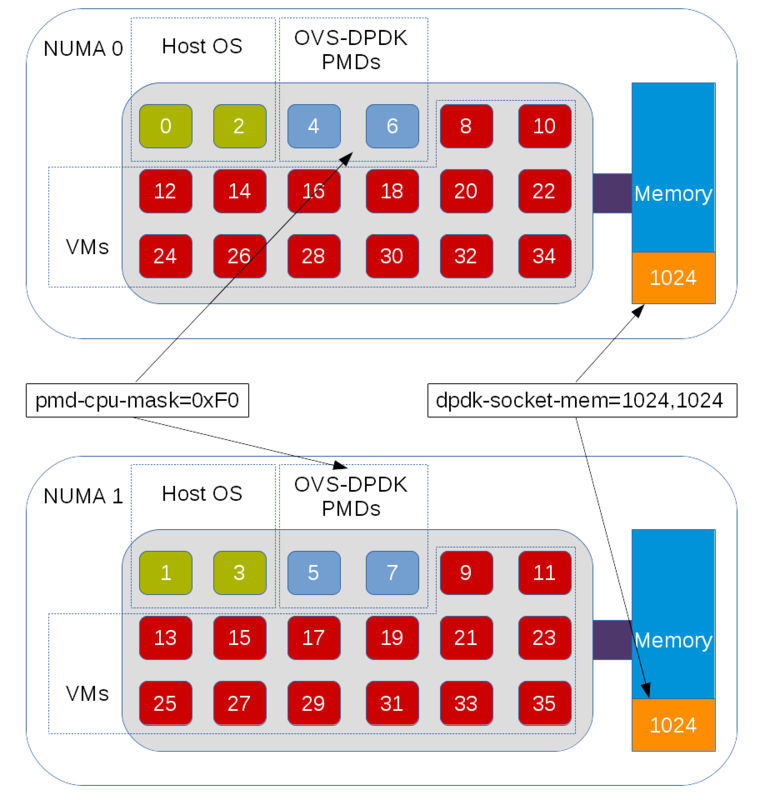 Open vSwitch-DPDK: How Much Hugepage Memory? In order to maximize performance of the Open vSwitch DPDK datapath, it pre-allocates hugepage memory. As a user you are responsible for telling Open vSwitch how much hugepage memory to pre-allocate. The question of exactly what value to use often arises. The answer is, it depends. There is no simple answer as it depends on things like the MTU size of the ports, the MTU differences between ports, and whether those ports are on the same NUMA node. Just to complicate things a bit more, there are multiple overheads, and alignment and rounding need to be accounted for at various places in OVS-DPDK. Everything clear? OK, you can stop reading then! However, if not, read on. In Network Function Virtualization, there is a need to scale functions (VNFs) and infrastructure (NFVi) across multiple NUMA nodes in order to maximize resource usage. 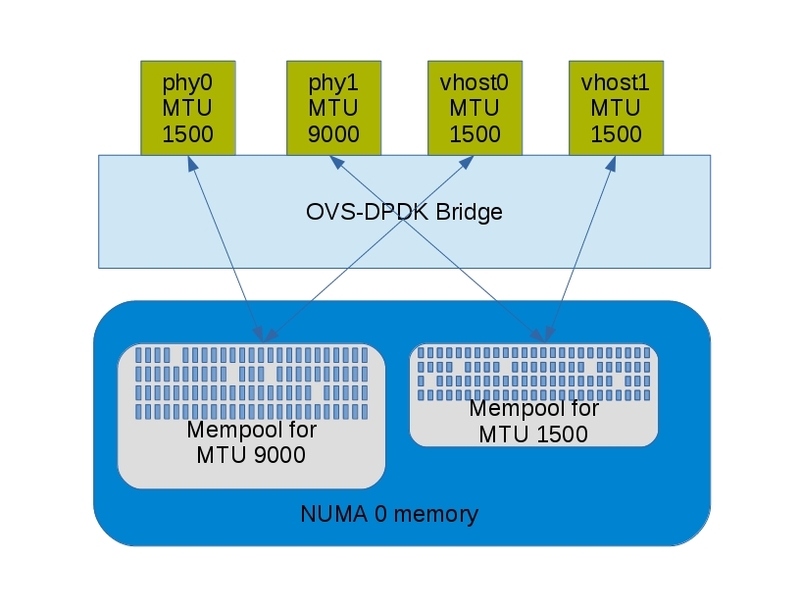 In this blog, we’ll show how to configure Open vSwitch using DPDK datapath (OVS-DPDK) parameters for multiple NUMA systems, based on OVS 2.6/2.7 using DPDK 16.11 LTS.